"Listen to some motivational interviews from inspiring startups!" 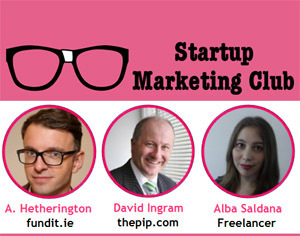 Dublin Startup Marketing Club organised an event that showcased a series of presentations on crowdfunding campaigns. These presentations focus on providing entrepreneurs with insights and tips on how to build their brand and to kickstart new projects with the aid of crowdfunding. Your crowdfunding inspiration is just a click away.